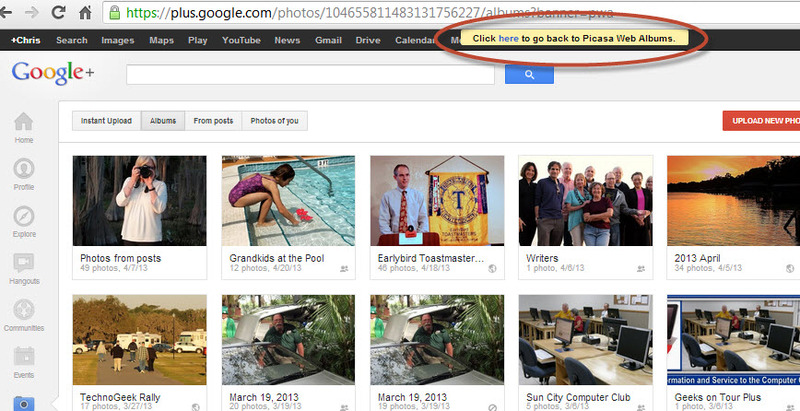 return to Picasa Web Albums – Learn Picasa and Google Photos! I Can’t Get to my Picasa Web Albums! I’ve written several articles in this PicasaTutorials website about the transition we are undergoing between Picasa Web Albums and Google Plus Photos. Although Google + Photos has added many new features and is quite impressive these days, there is one feature it still lacks and that is the ability to embed a slideshow of your pictures into your blog post or website. This previous post tells you how to use the Picasa Web Albums interface to embed a slideshow, but the problem is that when you try to go to www.PicasaWeb.Google.com (the address for your Picasa Web Albums,) you are automatically redirected to Google + Photos. And, there is no command for embed slideshow anywhere to be found. 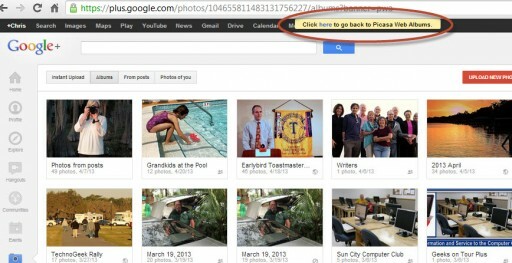 If you look carefully at your Google+ Photos screen, you will see a message to “Click here to go back to Picasa Web Albums.” It does exactly what it says and deposits you at the Picasa Web Albums interface to all your pictures. 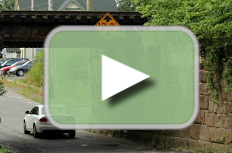 There you will find the ‘”Embed Slideshow” link as directed in this previous article.